A third-generation cookbook author, Aarón has written two books - his first, “La Comida del Barrio” was published in May 2003 and his second, “Simple Food, Big Flavor: Unforgettable Mexican-Inspired Recipes from My Kitchen to Yours” was released in October 2011. Celebrated by both critics and contemporaries, Aarón has won a James Beard Award for Television Studio Program (2012) and has been recognized by the Hispanic Federation and NBC Latino as a leader for the Hispanic community. 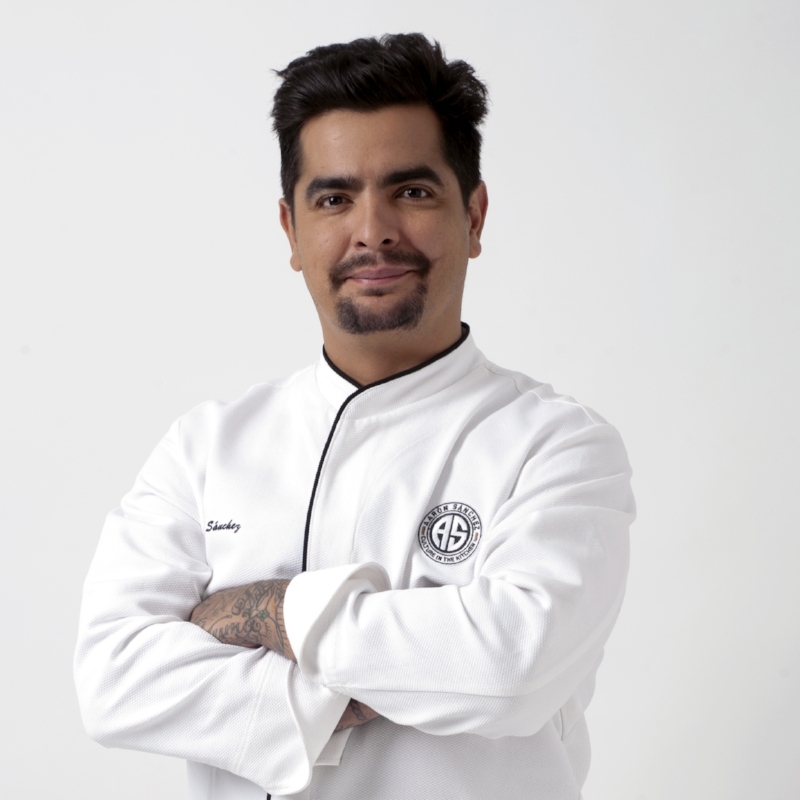 In 2016, Aarón founded the Aarón Sánchez Scholarship Fund (ASSF), an initiative empowering aspiring chefs from the Latin community. ASSF provides recipients with full culinary scholarships to the International Culinary Center (ICC) in New York City as well as mentorship opportunities. Aarón’s creativity extends beyond the kitchen.He is a partner at Daredevil Tattoo in NYC, a world-famous tattoo shop and museum.He is an avid music lover and enjoys cooking to the sounds of the Alabama Shakes, Amos Lee, Lenny Kravitz and The Cure.He has a son, Yuma, and lives in New Orleans, LA.